The Royal Academy had an amazing array of nearly 750 beautiful objects for the ‘Age of Chivalry’ exhibition, but the main glory of that period are the churches and cathedrals. 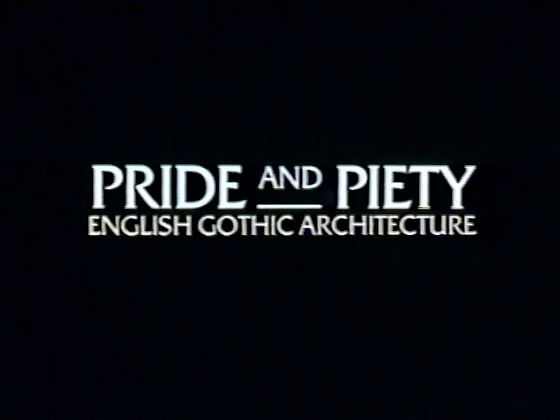 The audio-visual programme they commissioned, titled ‘Pride and Piety’, was made to illustrate the wonders of medieval architecture. One of the rooms in the gallery was converted into a theatre and the programme, which runs for just over 20 minutes, was shown on a large 6m wide screen. Roy Reed was the photographer and designer of this audio visual programme.